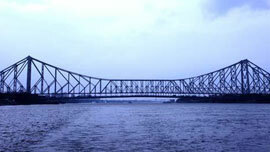 Kolkata, formerly known as Calcutta, is the capital of West Bengal. It is located in eastern India on the east bank of the River Hooghly and has a subtropical climate. The city has many names: "Cultural Capital of India", "The city of Processions, "City of Joy" and so on. It has also been a home to many luminaries such as Rabindranath Tagore, Subhash Chandra Bose, Mother Teresa and Satyajit Ray. Public Transport in Kolkata is provided by Trams, Kolkata Metro and buses. Auto Rickshaws, Cycle Rickshaws and taxis are some other common modes of transport. For long distance travel, Kolkata has two railway stations, Howrah Station and Sealdah and one airport, Netaji Subhash Chandra Bose International airport at Dum Dum. 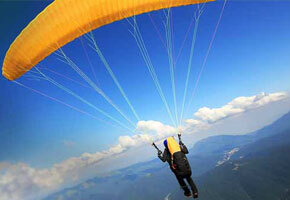 Fort William is a must visit tourist attraction place of Calcutta. Situated at the banks of river Hooghly, it was named after King William III of England. Fort William of Kolkata, India, was established during the tenure of British Raj in 1696. It was the guardroom of this two-storied building, where the black hole tragedy took place. During the Plassey war in 1757, Siraj Ud Daulah, the Nawab of Bengal attacked on the fort and defeated the Britishers. This paved way for the construction of a new fort by British. The new fort was initiated by Robert Clive, which got completed by 1780. The basic purpose of setting up Calcutta Fort William was to prevent attacks from Muslim invaders. The area that was cleared around the fort became maidan, where several exhibitions and fairs take place. The foundation of the old fort is still intact. Till date, it is a military area and the Arsenal inside it is worth watching, but for that prior permission of the commanding officer is required. Eden garden of Kolkata, India is one of the major tourist attraction places of the city of joy. 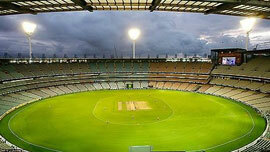 Eden gardens is basically a cricket stadium, where people have witnessed the history of Indian cricket. It is the oldest cricket playground in the country and also the finest one. Calcutta Eden Gardens Cricket Club came into existence in the year 1864. The first ever first-class match that took place in the Eden Gardens was in 1917-18 and the first test match to be played here was in January 1934 against Douglas Jardine's MCC. It was in February 1987, when the first ODI match was hosted here. It has undergone a tremendous modernization and infact, today it boasts of its large accommodation that can capaticitate about 1,20,000 persons. Eden gardens of Calcutta definitely falls into the category of must see places. 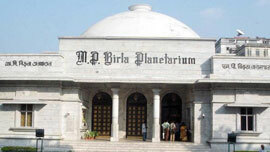 The MP Birla Planetarium in Kolkata came into existence on 29 th September, 1962 and officially opened to the public with an inaugural address by Pandit Jawahar Lal Nehru on 2 nd July,1963. 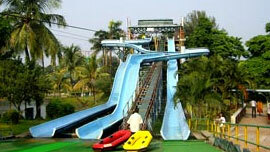 It was first of its kind in whole of India and the mightiest in entire Asia. Ever since its beginning, it has proved to be an asset for the common people as well as the students in understanding the different sorts of phenomenon that take place in the ever so mysterious space. 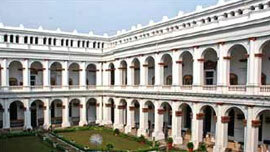 Marble palace of Kolkata, India is a must visit tourist attraction spot. 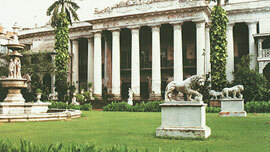 Built in the year 1835 by Rajendra Mallick, it is an exquisite art gallery. Marble palace houses the marvelous objects of art, sculptures, pictures & oil paintings. Its major highlight includes the Reuben's masterpieces. You can also find the original paintings of Rembrandt, Reynolds and Van Goyen etc. 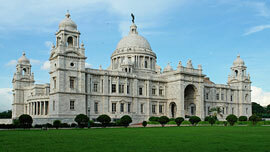 Calcutta marble palace is the one of its kinds and consists of exquisite pieces of art. It also has a zoo, where you can find different kinds of birds and animals. Infact, it has a rare collection of birds. 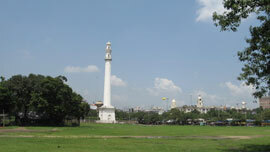 The famous Shahid Minar of Calcutta is about 158 ft high. It has two balconies at the top. The top floor of the minar is accessible by a serpentile staircase. A total number of 198 stairs from the ground floor take you to the first balcony of the tower, from where 25 more stairs lead you to the second balcony. The splendid tower was renamed as 'Shaheed Minar', from 'Octerloney Monument', in the year 1969, in the honor of those great soldiers who sacrificed their lives for the freedom of India.